Enjoy the comforts of home. Our guest rooms are spacious and clean, and include microwave oven, coffee maker, refrigerator, cable TV and WiFi access in your room. Choose between a queen or king size bed, or a room with two queen beds. During the summer months enjoy a continental breakfast. 20 rooms – Kids and pets are welcome. 10 rooms – Kids are welcome. 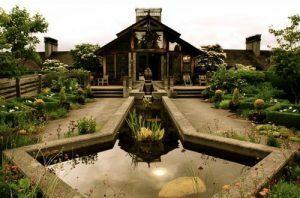 Langley’s dramatic Inn and spa where every guest room features a 180-degree of Saratoga Passage and the Cascade Mountains. Dinner by chef Matt Costello is an experience to remember, featuring fresh local seasonal fare-modern cuisine grounded in Northwest nature. 26 rooms – Kids are welcome. 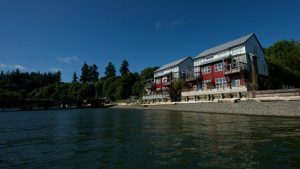 The Langely Motel is perched on a bluff above the Langley Marina. Each unique suite is complete with a fully equipped kitchen, living room, separate bedroom and bath. This all suite motel is warm and cozy for a weekend visit or an extended stay. 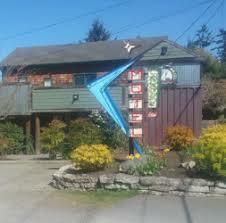 We are a short walk away from downtown Langley and across from the Whidbey Island Center for the Arts. 4 rooms – Kids and pets are welcome. 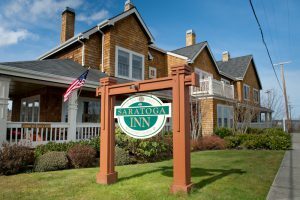 Find the atmosphere of the Saratoga Inn comfortable, like an old shoe. 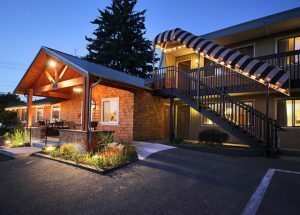 Enjoy the refreshing views and beauty of the Cascade Mountains and the Saratoga Passage from the privacy of your room or in a friendly common area, which includes an old-fashioned porch complete with rockers for sharing some simple “porch talk”. Click on their website link below for availability.